September has been beautiful and busy here in Shanghai. Lots of events, people in town visiting and it felt like Design Week, Photography Week, Art Week, Fashion Week (and so on) was all at once! My evenings were so full up and it was really great meeting people outside of my usual social circles. I love hearing people's stories! As always, people with different cultures & nationalities are in Shanghai, so over the space of a week, I was hanging with Mexicans (my girls! ), eavesdropping on two Danish women from different backgrounds (one Chinese Danish!) and giggling with Chinese Australians while talking about kite surfing with a New Zealander! And that was just one day. This year, I joined the Shanghai Blogging Society with their newly launched App (now with about 50 bloggers, but we started with 20) and I feel instantly connected to a bunch of new people and great ideas. If not for blogging, I’d not have met Line, nor Marta, nor Sandra this year or been involved in these different (and new to me) events. Shanghai has SO much potential: for networking, for ideas, for entrepreneurial things, it’s actually dazzling how much is on offer here. I knew it’d be a bustling city (with 24 million people living in the city, you’d expect so!) but I am surprised how generous, friendly and warm people are… from local Chinese through to international business people. And I can’t honestly imagine a place where I’d be talking with people from all walks of life, from all levels of society, and from so many different parts of the world. As a sewing blogger, I do tend to read mostly sewing blogs… but when I need particular things I go on the hunt for new blog genres… from food and cooking, to fashion, to travel ideas. And being in a new city, I spend a bit of time googling & bing-ing (when the VPN doesn’t work as well) Shanghai and ‘Where to buy/find’ type topics. So when there are blogging events on, I try to get to them! So great chatting about life in Shanghai with other people face to face! The first event pictured above was A Fashionista Dinner, held through the new ‘MEET’ function of the very awesome Bon App! app (a generously planned out - great for taxi hopping around Shanghai - restaurant/foodie app) where anyone can join public dinners and meet new people. It’s a must for anyone new to Shanghai! Line from Shanghai Bloggers (pictured with me in my maxi dress) hosted the event with Sandra from Style by Asia and I was a co-host representing the bloggers of Shanghai… it was easily the best co-host event for me because I love talking with people and it was a popular event, a full house! 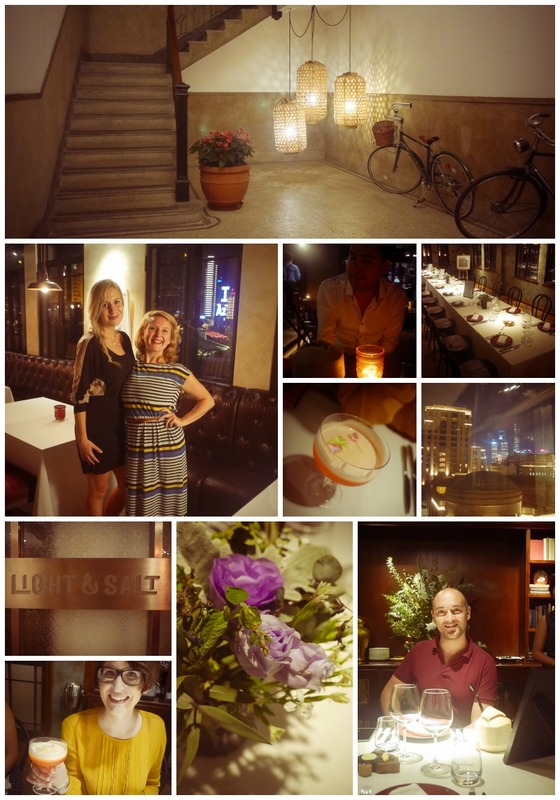 The event was at a very gorgeous place just back from the bund called Light & Salt, and it was a fantastic vegetarian meal especially mapped out us veggie types! Shanghai Bloggers & Style By Asia next organised a panel discussion on creativity, and a bunch of the Shanghai Bloggers came along to the Hay Concept Store in Shanghai… it was pretty interesting to hear about creativity in China but also how designers have adapted to the Chinese demands… Danish furniture is very popular, but changes the textiles from wool to linen for the Shanghai climate & to suit consumers. Lots more to learn about Chinese culture, but seeing how many people are in China, and how they love buying and being consumers… it’s no wonder lots of brands and businesses are hoping to come here. I was talking to someone working in New Zealand trade department (I see a lot of NZ butter, milk, and cheese here) and she’s just showczased a bunch of different coffee blends, not really expecting much, but younger Chinese groups were totally into it. Coffee (Starbucks is EVERYwhere) is getting to be more popular here, especially in Shanghai. Lucky for me! I can now find a great latte or flat white in several spots around the city! And that’s NOT including Starbucks. YAY! 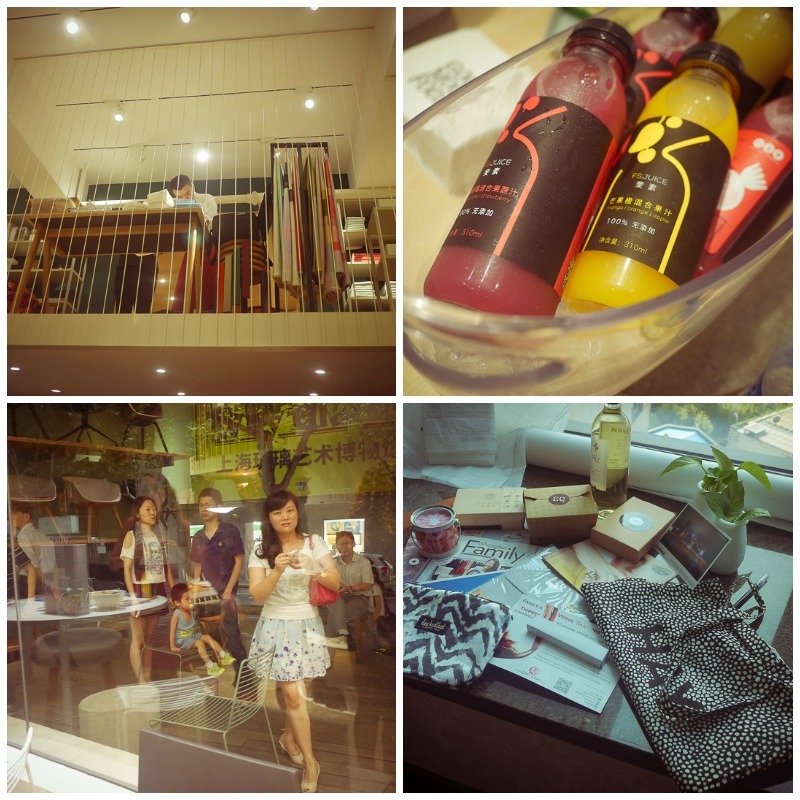 OK, so I took few photos at the Hay event, but I loved my blogger gift bag! Especially the Lanehouse Apparel gift… I got to meet them too, so will hopefully get a ‘Made in China’ blog post about them soon because their gear is CUTE and very street and I would like to show you a different side of Shanghai… urban and hip hop wear is VERY popular here! Would you believe it! Hearing some awesome MCs rap in Chinese is AMAZING! If you're interested, Style by Asia has write up here and Line at Shanghai Bloggers wrote this up about the week. Have you got a blogging network in your town? I’ve never really hung out with other bloggers before being in Shanghai in mass… so it’s kinda fun hearing how other people write their blogs… at the Hay event I talked a lot to Marta (Marta Lives in China) and Gosia (Shanghai City Girl) and it can be such a personal thing… writing a blog… and an eye opening & social experience for others! BLERGS HEY? !